Main Event Entertainment $25 FUNcard Giveaway | A Savings WOW! Disclosure: I was not compensated for this post. I was invited to attend the preview event, which included complimentary food and attractions. However, all opinions are my own honest opinions. 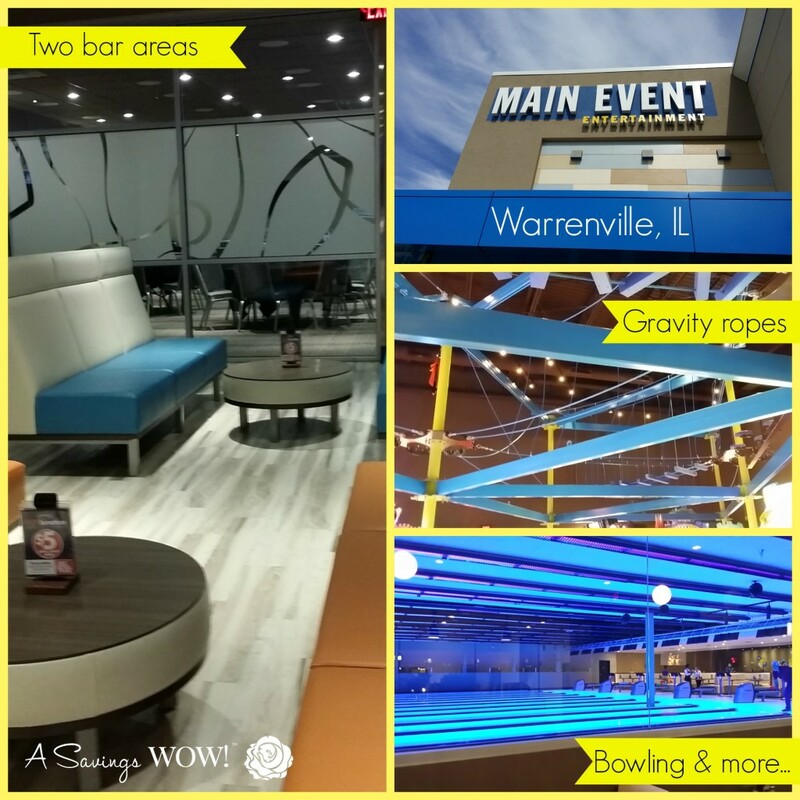 We had the opportunity to visit the new Main Event Entertainment location in Warrenville, IL this weekend during their grand opening. My entire family had a great time. Read my review here to find out the different activities we did! Disclaimer: We were not compensated for this post. We are not associated with the company named above. No purchase is necessary to enter. Void where prohibited by law. The odds of winning are based on the number of entries received. The sponsor(s) will be responsible for product shipment to winner(s) of this giveaway. My blog is not responsible for product shipment/delivery. This event is in no way administered, sponsored, or endorsed by, or associated with, Facebook and/or Twitter, Google, Pinterest, Instagram or Klout. This disclosure is done in accordance with the Federal Trade Commission 10 CFR, Part 255 Guides Concerning the Use of Endorsements. It is at the sole discretion of the admin of the giveaway if the winner has met the rules or not. Oh, by far I would need to do the Gravity Ropes! Those look like a lot of fun! I hope you have the chance to try them! It’s a blast! The gravity ropes look awesome! 🙂 what a fun place! The laser tag is always a hit with the kids. It’s a great way for them to have fun and get their energy out at the same time.